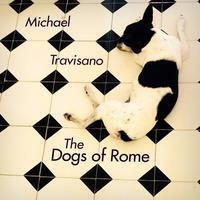 Sports football betting appMichael Travisano : The Dogs of Rome. Modern alternative piano to feel in your gut. The music on The Dogs of Rome is about them, or more accurately, it is a reflection of the stuff of life through our relationships with them: their sharing of our joy, their worry with and for us, their unconditional love. All of the music was written with a direct view of the Aurelian wall and is both a dedication to Mike's time spent living in Italy as well as a reflection of the American popular music that continued to be a soundtrack playing in the background. License Modern alternative piano to feel in your gut by Michael Travisano for your project. Play the music of Michael Travisano in your restaurant or store.